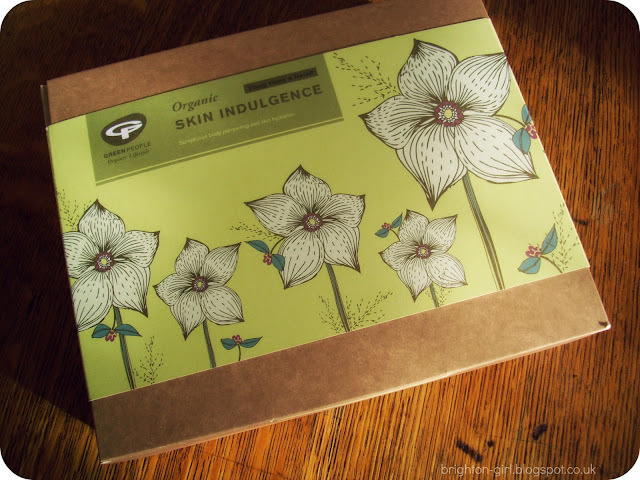 Green People are an organic brand whose products range from skin care to toothpaste - and everything in between! They are committed to ensuring that their products are highly effective and contain natural and organic ingredients. All their natural goodies are made in the UK and are approved for vegetarians (most of them are suitable to vegans too). And if that wasn't good enough, 10% of their net profits are donated to environmental charities. With such dedicated ethics, I was impressed even before I'd tried their products! 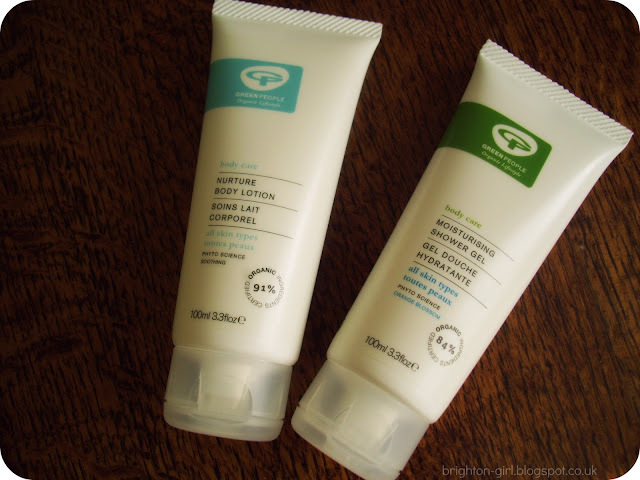 Their Organic Skin Indulgence gift set* includes Green People's Moisturising Shower Gel and Nurture Body Lotion. The gift set is attractively packaged (...and is, of course, recyclable) and would make an excellent Valentines gift for anyone keen to embark upon a more organic lifestyle and equally for those who are already committed to using organic and natural products. The Moisturising Shower Gel foams up really nicely and is lovely to use. It has a fresh and natural scent which makes it the perfect shower gel for morning showers. For me, the stand out product in the gift set is the Nurture Body Lotion. Containing shea butter and natural plant oils, it's a rich and creamy lotion that sinks quickly into the skin. I like that there's no awkward waiting around before you can start dressing! Before I started using these products, my skin was really dry and itchy. Within a week of using the Skin Indulgence gift set daily, I've noticed a vast improvement and my skin is back to normal! 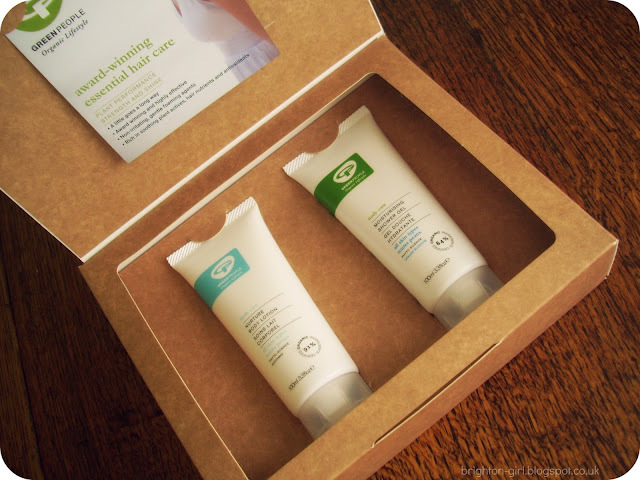 I've been very impressed with my first experience of Green People's products and think this gift set would make a fantastic Valentines present. There's a whole range of other gift sets, for both men and women, here. Will the Green People Skin Indulgence gift set be making it into a cheeky email to your other half? 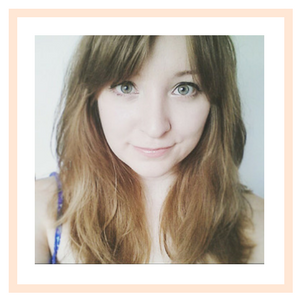 Hey Catherine I have nominated your lovely blog for the Liebster Award! check back to my page for more details! A fellow Britonian - amazing! I think these are amazing products since they work perfectly on your skin. This products is very nice. I would love to use this soon, will try to get them soon. Thanks for this info.